PaySail contracts are billed month-to-month or yearly. It is easy to start and stop your subscription at any time. You start with a free trial. We don't start billing your account until you've determined PaySail is the right product for you. Is there a discount for a yearly service? Yes, we offer discounts on up-front, long-term commitments. If you subscribe for an annual service, you will receive a discount on your annual bill. Canceling your PaySail subscription is an easy and no-questions-asked process. It's done online right from your computer. Do I need special equipment to use PaySail? Absolutely not. A computer with an internet connection is all you need. When on the move, you can even access PaySail on your tablet computer or smart phone. No. 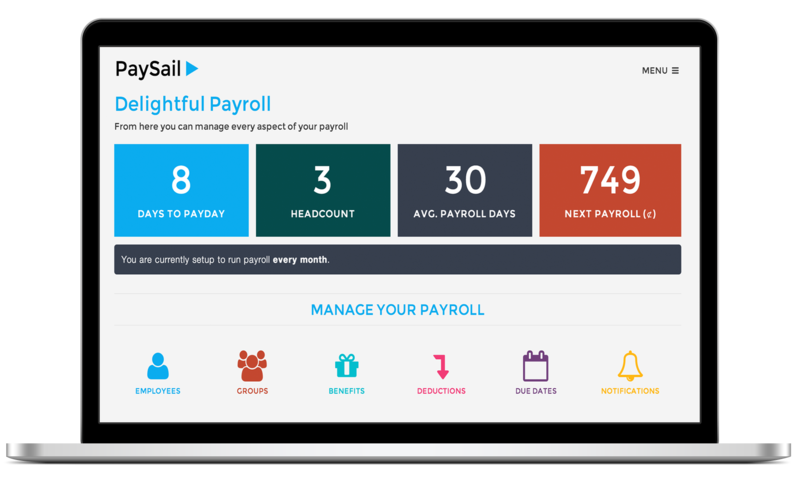 PaySail is a fully-managed web service. We do not have plans to make a downloadable version. PaySail does provide many standard methods for exporting your data. Got more questions? We're here to help.